Pictures which are well know. 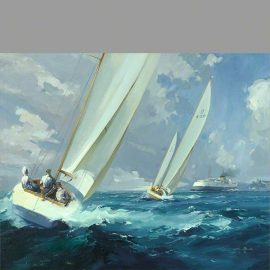 Print of the famous oil painting Racing off Ryde Image Size 15" by 12" Paper Epson Archival Matte Paper 192 gsm The print has a white border ready for mounting Certificate of authentication is included and the print is signed and numbered. 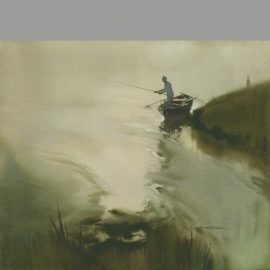 Print of the water colour painting "The Angler" by Claude Buckle Printed Area 20" by 17" Paper Epson Archival Matte Paper 192 gsm The print has a white border ready for mounting. Certificate of authentication is included and the print is signed and numbered. [smaller prints are available 10" by 8" aprox] Click image for light box view. 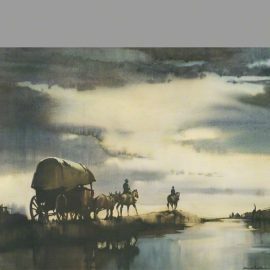 Print of the watercolour Into the Dawn by Claude Buckle Printed Area 14½" by 20" Paper Epson Archival Matte Paper 192 gsm The print has a white border ready for mounting. Certificate of authentication is included and the print is signed and numbered. [smaller prints are also available 7½" by 10" aprox] Click image for light box view.